Russia’s state-owned nuclear energy firm Rosatom has said that it would create thousands of jobs in new nuclear units in association with stakeholders of the South African nuclear program. 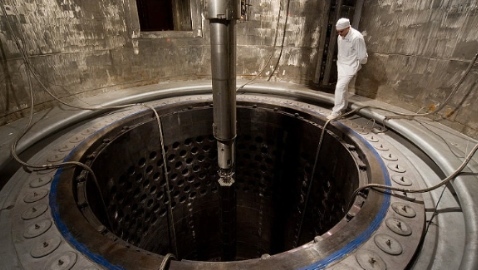 “The implementation of the South African nuclear generation development program together with Rosatom would allow to create 15,000 additional jobs in construction, service and operation of the new units, as well as several thousands of jobs in related industries,” said Vice-President of JSC Rusatom Overseas, a subsidiary of Rosatom, Boris Arseev. Arseev was speaking at the annual industry convention of the Nuclear Industry Association of South Africa (NIASA). Rosatom also claimed that this would “increase the revenue of South African companies for $ 15 billion and ensuring $3.5 billion tax revenues to the country’s budget”. Rosatom is bidding for the construction of six South African power units with a total installed capacity of 9.6 GW. “Rosatom assigns high priority to the development of cooperation with the South African nuclear industry,” said a press release of the firm on Thursday. During a meeting with President Jacob Zuma earlier in May, Russian President Vladimir Putin reiterated Russia’s assistance to South Africa in developing an advanced nuclear power industry. “We see great potential for cooperation in nuclear energy. Russia is ready to provide assistance in creating a comprehensive nuclear energy industry in South Africa,” Putin said during the press statements following talks in Sochi. Currently, South Africa has two nuclear reactors accounting for five per cent of the country’s electricity. South Africa is seeking to expand its nuclear energy sector, planning a further 9,600 MW capacity in the next decade. South Africa’s Integrated Resources Plan (IRP) for 2010 to 2030, a 20-year projection on the country’s electricity supply and demand, envisages 9 600 MW of additional nuclear capacity by 2030. Rusatom Overseas last week also signed a memorandum of cooperation with South Africa’s North West University that offers postgraduate degrees in nuclear engineering. Rosatom is a member of NIASA since March 2012.